At 67 I went for my annual routine eye exam. I have always been vey nearsighted since childhood, but up to that point I had not experienced any symptoms except for some slight worsening of what I thought was myopia. I was referred to an ophthalmologist who diagnosed me with dry AMD. He prescribed AREDS, and gave me the Amsler Grid. I was instructed to report any sudden changes in vision, and come back regularly for check-ups. I was devastated - I spent a whole day in my bedroom, crying in the dark. The thought of losing my independence, and all the things I enjoy, like reading and art, scared me to death. Also the fact that there is no cure, and the prognosis is unpredictable. It's like living with a sword hanging over your head. Then I picked myself up, and decided to go on with my life as normally as I could, since there is nothing much that can be done. Up to now I had not experienced any visual distortion or dramatic changes. However, last night I got up to get a drink of water, and I saw three quick flashes of light, like a camera going off. I was so upset I could not go back to sleep. I will be seeing the doctor this morning. Wish me luck! Hello Manuela and welcome! My mother is the one with dry macular degeneration and she's had it for almost 40 yrs now. She was diagnosed at age 50 and she is almost 90 yrs old now. It is amazing to me that she gets along so well with this! She always ate her vegetables and took her supplements as advised by her doctors. This has helped her to feed her retina with the best vitamins possible and this has certainly slowed things down and even kept this from progressing for long periods of time. It has been a gradual progression for her and she has adjusted. She is by NO means blind and is still independent in her own home. She gave up driving when she was 85 yrs old - which is a usual age for most of us. Please don't despair. While this is different for everyone, you can be pro-active and be in control. As a side note, her vision has remained the same now for over 5 yrs. I hope I spelled your name correctly. I was diagnosed with dry in 2009, I believe. No problems until 2013 when I began having serious problems adjusting to the light/dark, not being able to read street signs, though I had had cataract surgery on both eyes. In December of 2013, I noticed I was missing notes in my music. One minute they were there, the next, they were gone. When my harp strings suddenly looked wavy, I knew something had changed. Several months later, a test showed I had wet macular degeneration and got a shot of Avastin in that eye, immediately. That was April 2014. That eye has a bit of scarring, which makes the first letter of the eye chart hard to distinguish, but that's about all. I decided to use diet instead of supplements in the hope it would keep the dry from getting worse. It has worked. My vision has not changed in a year. My venetian blinds appear wavy. I see thousands of red dots flying around. I have to be very careful about cooking meat because without a meat thermometer, I can't tell whether it is done. I am very careful about curbs. Unless they are painted correctly, I can't tell when to step down or up. I use a cane, which helps. This is going to continue, but I'm not afraid of it. I read a lot with a Kindle, use magnifying glasses that have lights. I gave up driving a long time ago. Hate that, but it is what it is. Like Minnie Pearl, I'm just proud to be here. My retinal specialist has even stopped giving me shots!!! He checks me every two months. It may be years before you see "fuzzy faces." Or you might die of old age before that happens. At least you're doing the right thing. As soon as anyone sees a difference with their vision, go straight away to see your optician. Early diagnosis is so so important. Do not despair as there is help for you. I had dry AMD for 14 years before it turned to wet. I get the lucentis injections now. I also took supplements. The ones I take now are Macushield. The fear before the treatment is always the worst part. Good luck indeed. This is a scary adventure. 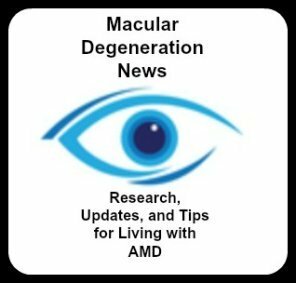 Facebook has a closed group called Macular Degeneration Community . There are really plenty of groups. Join, learn, and take slow deep breathes. Keep in touch. Sharon....under, my blue eyes.